A business cards case that sparkles! 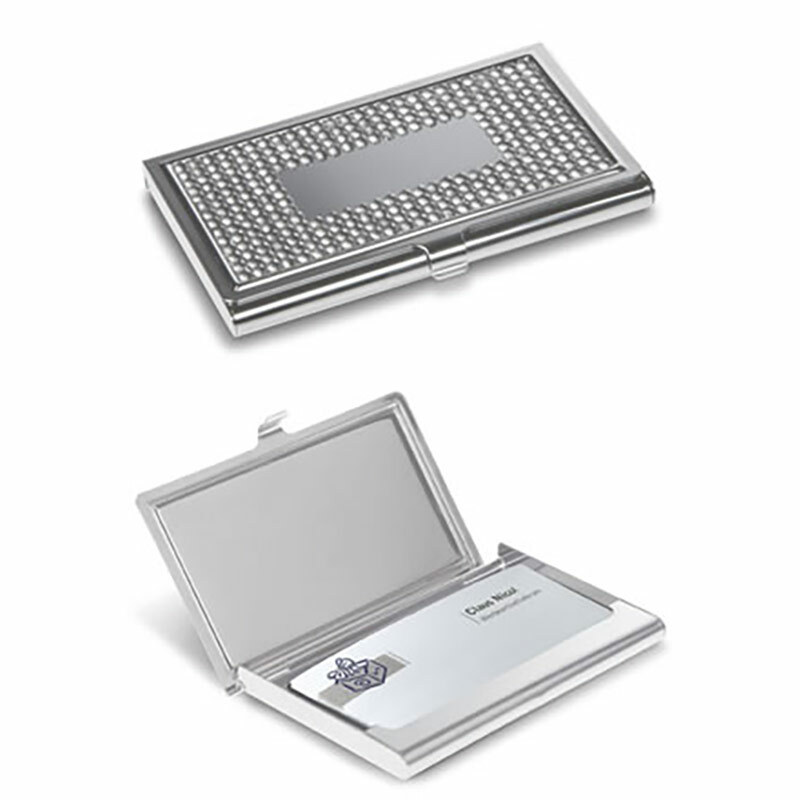 These pocket card holders are made in sturdy metal - perfect to keep your business cards crisp and pristine at all times - but with a panel of acrylic 'crystals' that adds bling to the item. In the centre of the decorative panel is a flat plate for engraving, and these card cases are offered with free engraving of this plate. Add a name, brand logo, event details or marketing message at no extra cost and create some really eye-catching bling corporate gifts or promotional merchandise items.